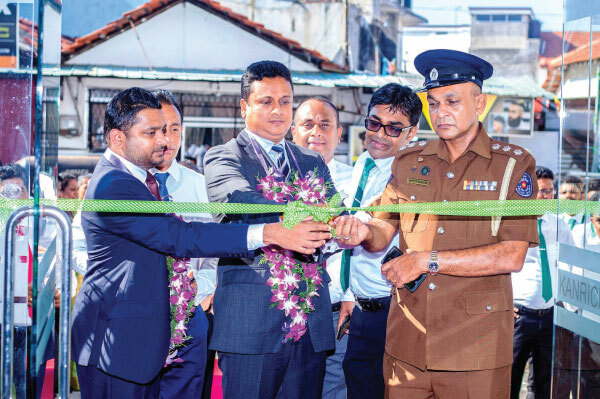 With a history of 47 years and trusted excellence, Kanrich Finance Ltd with the intention of delivering an advanced and highly efficient service to their trusted clientele, opened their newly relocated Chilaw, Branch at Bridge Street, Chilaw with a facelift in more a convenient location. Taking their services to another level and further initiating their long-standing reputation as a reliable and trusted financial service provider, Kanrich Chilaw branch commences the gold loan services for the Chilaw community. Further, fixed deposits, vehicle leasing facilities, micro finance facilities for cottage industries and small holders Welanda Warama & Saviya loan schemes for entrepreneurs are some of the services that are offered by Kanrich Chilaw branch. Kenrich Finance is a licensed financial institute listed under the Central Bank of Sri Lanka.